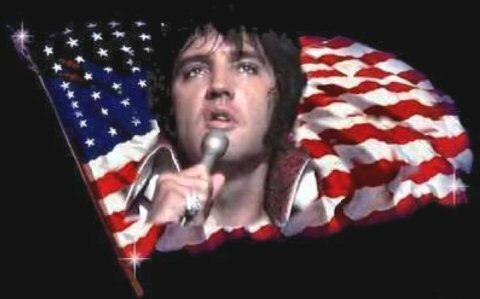 Elvis Celebrate Forth of July 1956, Elvis, Scotty Moore, Bill Black and DJ Fontana headlined a concert at Russwood to 10,000 fans, many of which had waited since morning to sit as close as they could . By 5:00 p.m., a half hour before the gates opened, hundreds were jammed solidly before the turnstiles. The charity event was for the Cynthia Milk Fund of The Memphis Press-Scimitar and the Variety Club’s home for Convalescent Children. On the 4th of July 1953 worked and performed at Eagles Nest nightclub on Lamar Avenue in downtown Memphis where he was photographed wearing a busboy uniform. Through JD Sumner he met the black quartet the Swan Silverton and was impressed with their harmonies. 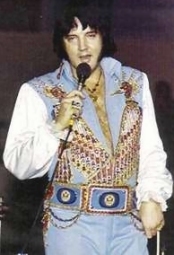 That July Elvis would often join the Blackwood Brothers at the Ellis Auditorium. Gospel music credo became an integral part of Elvis. He craved its message because it soothed and calmed him. He fantasized about becoming a great tenor gospel soloist and this dream was encouraged by his mother Gladys. 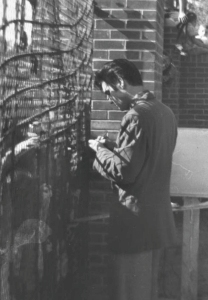 Elvis auditioned for the Songfellows and was mortified by their rejection. Jim Hamill advised Elvis to keep driving a truck because in his opinion Elvis could not hear harmony and was “flat.” Luckily for all of us Elvis fans… the young Elvis Presley was determined to prove Hamill wrong. 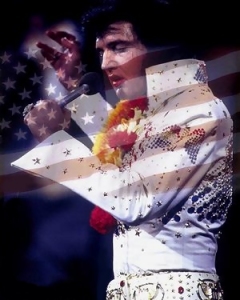 On the 4th of July 1955 During the festive Fourth of July celebrations Elvis let himself go during a performance at the City Recreational Building in Stephenville, Texas. 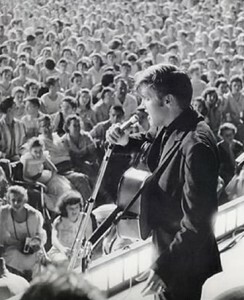 On July 4th 1956 Elvis performed a benefit concert at the Russwood Park in Memphis before 10 thousand screaming fans. To the Memphians Elvis was always their beloved hometown hero.